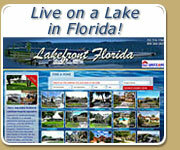 I am asked a lot of questions about bass fishing in Lake County Florida. By far, the most asked question is “How do I find the fish?” Forty years ago, this wasn’t much of a problem because bass were everywhere. Today, you are looking for spots that consistently hold fish that will bite. Most people know of a few community holes where everyone fishes. If you want to have consistent success, you need to find a way to locate fishing spots of your own. To find bass, the experts use a “search bait”. The properties of a good search bait are: coverage, confidence and comfort. Coverage means that the lure can cover a lot of water quickly. Confidence means you must have confidence that bass will bite the bait and comfort means that you can use the bait for long periods of time without fatigue. A search bait can be any lure with those three qualities. My favorite is a rattletrap because the vibration and sound draws curious bass like a magnet and the flash and speed causes a reaction strike. Color doesn’t seem to matter much, just use a silver flash in bright sun and a gold flash on darker days. The easiest place to find bass that you can catch is to start shallow. There are a lot of reasons for this; shallow bass are usually active bass, most of the cover in our lakes is shallow and the stained water color in Florida lakes causes many fish to hold shallow and close to cover. One of the best ways for beginners to find bass is by trolling. Let the lure out about 50-75 feet behind your boat and run it down the bank as fast as you can without pulling it out of the water. Don’t jump from place to place, just keep fishing until you get a strike. When you do, slow down and fish the area with slower baits such as a plastic worm. Stay alert and look for splashes, minnows jumping, fishing birds or reeds moving. A few years ago, I decided to fish all of Little Lake Harris. I knew it was holding big fish and I needed to find them before a club tournament. I picked up a map, drew a line where I wanted to start and went out on the lake. It took me a number of days to fish the entire lake, but it forced me to fish areas I had never fished before. I wound up finding a pile of big fish and won the tournament with ease. Which brings me to the number one reason most weekend anglers don’t catch as many fish as they could, they just don’t fish close enough to the fish, but that’s the story for next week’s article.